I sold the car to Ross. Ross sold the car to Steve. Now it's Steve's car, not mine. This is a portrait of my car. Kind of looks like one of those old colorized post cards. If you want to see the black and white image which was colorized, click here. If you want to see what it looks like more recently, click here. 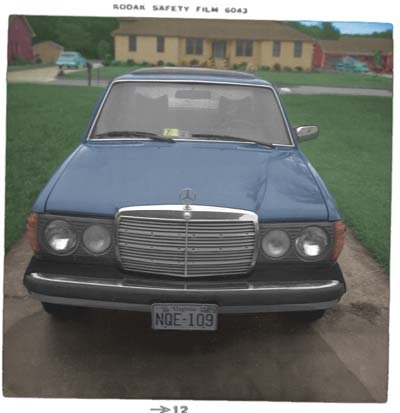 It's a 1978 Mercedes Benz 300D by the way.